Cox’s is proud to support Dare to Care as part of its sponsorship of Tailspin Ale Fest. 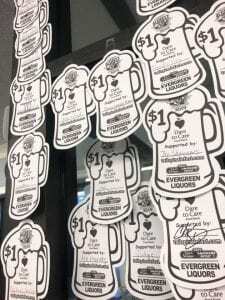 Please be sure to stop by Cox’s and donate a $1.00 through the paper beer stein program! PrevPrevious PostTailspin Text To Win! NextNext PostLAST REMAINING TICKETS FOR TAILSPIN ON SALE NOW!